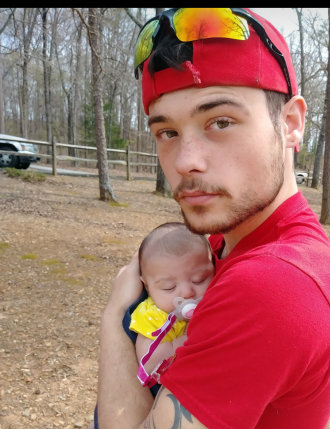 Dakohta Fusco-Abbott, age 21, of Murrayville, GA passed away Tuesday, January 22, 2019. Memories will be carried on by his daughter, Faythlynn Jo Fusco-Abbott; fiancée: Autumn Brook Cojo; father, Jeffrey William Abbott / Irma Sue Golden; mother, Karla Marie Long / Ernie Franklin Long III; siblings, Marcus Jeffery Fusco-Abbott, Terry Lynn Green Jr, Nikkolas Troy Fusco-Abbott ; sister-in -law, Sara Avonlon Fusco-Abbott; Christopher Allen Golden; Masun Charles Abbott; and grandparents, Vincent Leo Fusco / Kathy Rená Fusco. Funeral Services for Dakohta are scheduled for 2:00 PM Wednesday, January 30, 2019 at Hillside Chapel Funeral Home in Gainesville, GA.
Interment will follow in Hillside Gardens Cemetery. The family will receive friends at Hillside Chapel Funeral Home in Gainesville from 11:00 AM until time of service on Wednesday, January 30, 2019.